Leaving the "comforts" of the city for a Smoky Mountain getaway doesn’t mean that you’ll have to "rough it"! 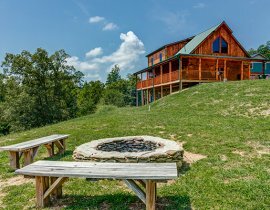 Our luxury cabins in Pigeon Forge let you escape in high style. 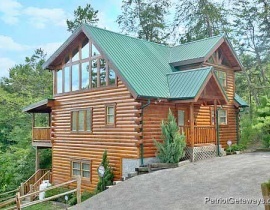 Our luxury cabins range from 1 to 13 bedrooms, and offer the finest of vacation amenities. Relax in a large Jacuzzi built for two or catch your favorite vacation movie in your own home theater! 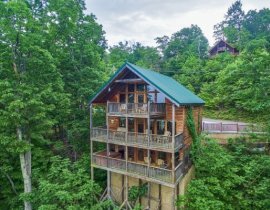 You will find what you’re looking for when you shop our large selection of luxury cabins in Pigeon Forge. 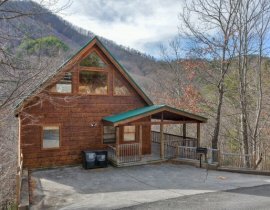 Secluded cabins offer the peace and quiet of the Smoky Mountains, while our family sized Pigeon Forge luxury cabins provide the room you need to bring your whole crew. 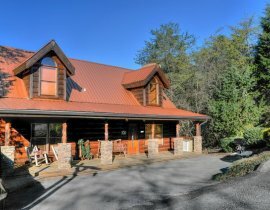 With all the fun amenities and features found in our Pigeon Forge luxury cabins, you may never want to leave. If you do, you will enjoy the convenience of being closest to all the fun and excitement found in Pigeon Forge. There are so many great ways to have fun in the Pigeon Forge area. Take a hike through The Great Smoky Mountains Nation Park, fish for a rising trout in one of the many streams winding languidly nearby, or enjoy a four course dinner at one of our Pigeon Forge’s many dinner theaters to seal the deal on a vacation you will never forget. 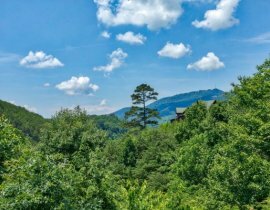 Call us today, and let us help you plan an unforgettable trip in one of our Pigeon Forge cabins.